Best choice for your pond or water garden. This pond pump gives your the absolute best of all worlds. The low speeds to efficiently run your Pond filter and U.V. clarifier. High speeds for cleaning and backwashing your filter and showing off your waterfall. IntelliPro® Variable Speed Pump The leader never stands still IntelliPro® brought variable speed technology to market, years ahead of every other manufacturer. Features Cost savings that average up to $1,500 annually 90% energy savings compared to previous-technology pumps. Near-silent operation-as low as 45 decibels. 8 programmable speed settings and built-in timer deliver optimum speed and run times, for highest efficiency and lowest operating cost. Hyper-efficient permanent magnet motor – the same technology found in hybrid automobiles. Motor speed adjusts to match your pool’s requirements in real time. TEFC (Totally Enclosed Fan-Cooled) motor runs cooler, quieter and lasts longer. Built-in diagnostics safeguard the pump for greater durability. More total energy savings than any other pond pump family ever. Integrated keypad-no need to purchase separately at additional cost. Over 5 years of proven in-field reliability. Exclusive software and digital controls make programming a breeze. Easy installation for inground pools and pool/spa combos of all sizes and types, aftermarket or new. Complete compatibility with IntelliTouch®, EasyTouch®, SunTouch® Pool Control Systems or other brands of digital pool/spa controls for managing pump, heating, lighting, spa jets, water features and more, from virtually any location. Traditional pool pumps operate at a fixed, non-adjustable speed. That speed is calibrated to meet the highest load the pump will ever face. Most of the time in pond applications , loads are far lower. Yet the traditional pump still runs full blast, squandering energy and money. 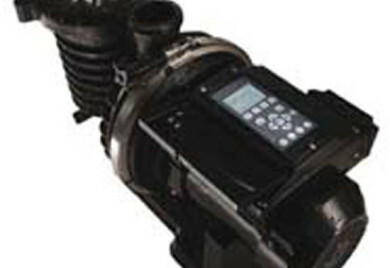 The IntelliPro® Variable Speed Pump takes a smarter approach. 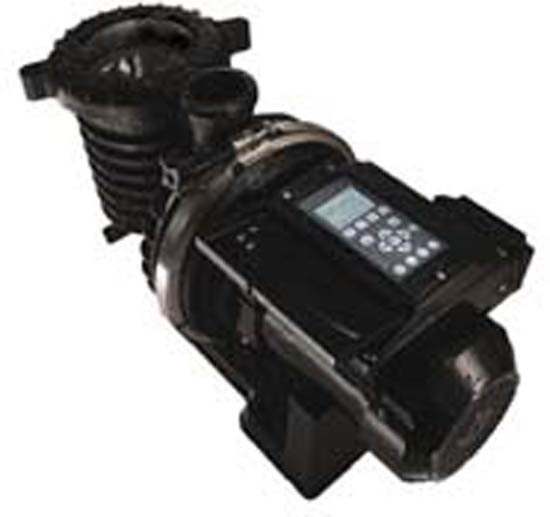 It allows custom programming of optimum pump speeds for specific tasks such as filtering, heating, cleaning and operating spa jets and waterfalls. For virtually all applications, that ideal speed is lower than the preset, unchangeable speeds of older pumps. This slower speed offers other advantages, too. When water moves more slowly for longer periods, it helps reduce the occurrence of algae that forms more easily when water is pumped briskly and then allowed to rest for long intervals. Your pond filter works better because it has more time to sift out particles from the same amount of water, rather than pushing them through the filter media under needlessly high pressure. A leader in Pond Supplies – A Leading Supplier of Pond Pumps for ponds!